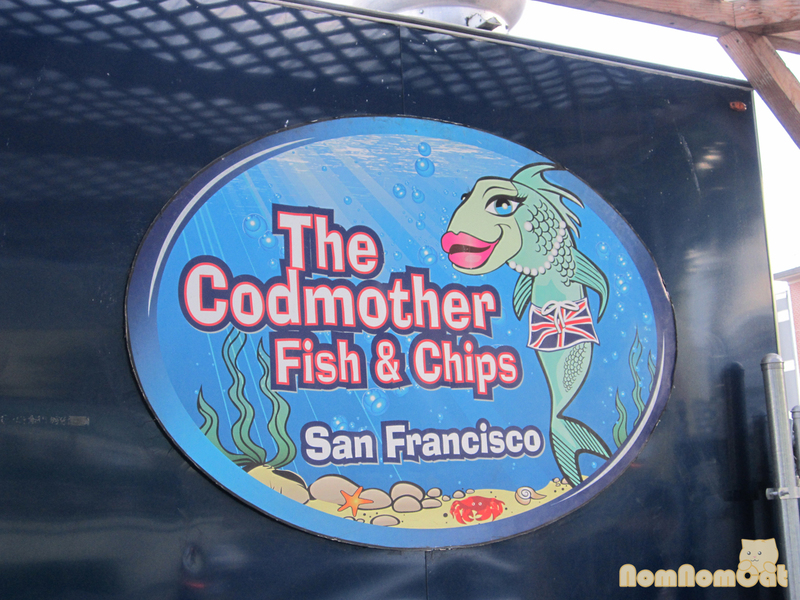 A short walk away from Fisherman’s Wharf, the Codmother is the an eye-catcher of a food truck with its noticeable pink-puckered lips of a cod. Once “inside”, you’ll meet the very friendly, British-accented owner, Suzanne who greets both regulars and tourist lookers alike. We shared an order of the fish and chips not because we were skeptical but because we were planning to eat several more times at other places. 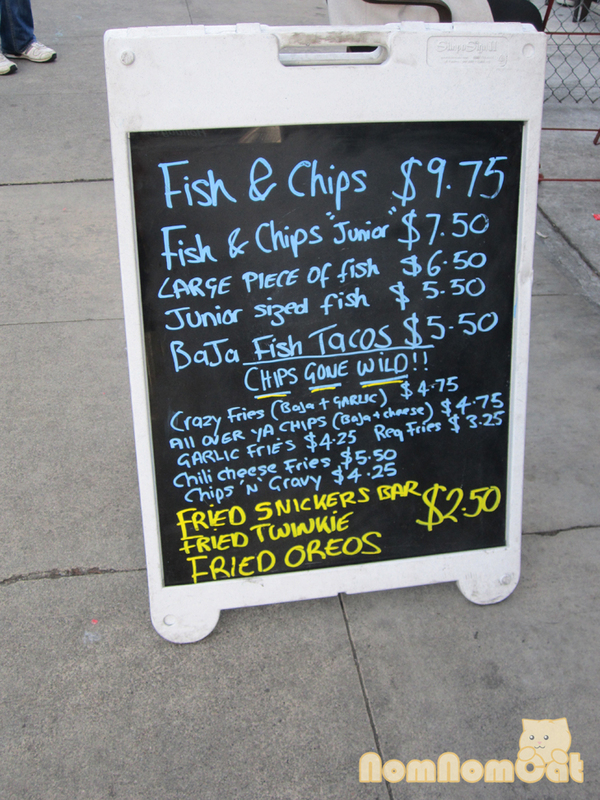 The fish was great, fried in batter seasoned with salt and black pepper, a simple addition something a lot of fish and chip places tend to overlook. The fish was neither super moist that it melts in your mouth nor overcooked and dry but maintained just a firm enough texture expected from deep fried fish filets. Our only criticism is that the chips were just average and could use some more crunch to them – perhaps a thinner cut version or longer frying time. 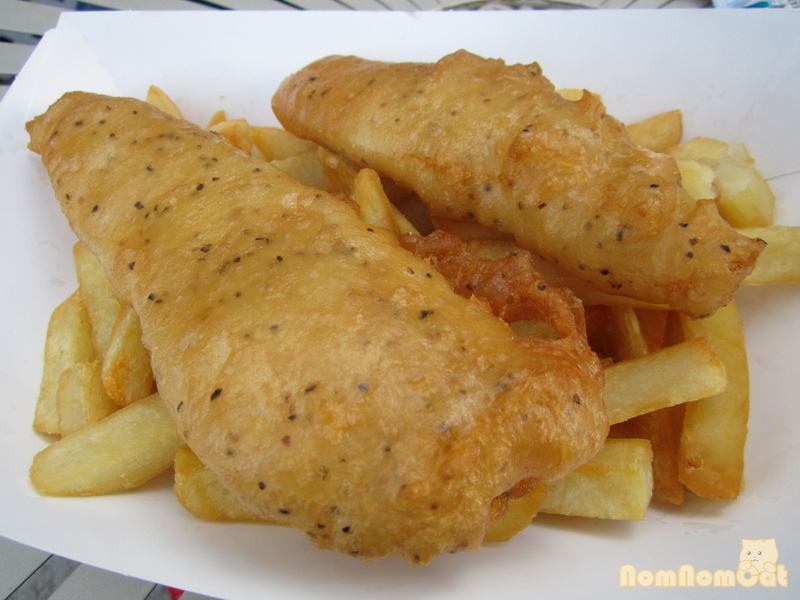 Fish and Chips – seasoned with salt and pepper. With a small menu, the Codmother is able to make whatever they offer taste very good. 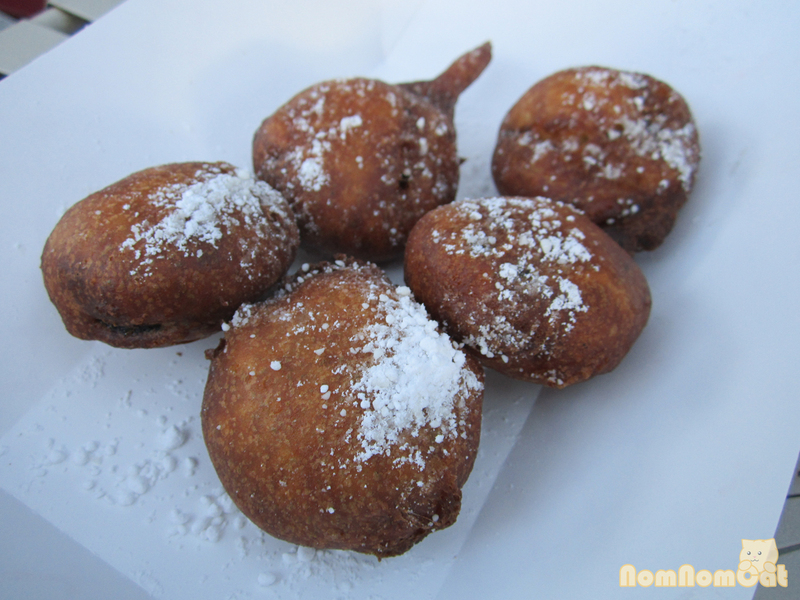 We also got a free order of deep fried Oreos from a Yelp! check-in. Thumbs up already for having deep fried Oreos on the menu which is something you can only get either in a theme park or at a fair. The Oreos went into the fryer as sandwich cookies one would buy at the supermarket but emerged as a delicious piece of enveloped cookies and cream that is reminiscent of a tadpole emerging from the water (or rather vat of oil). The batter used for these tasted a lot better than those at a fair where it’s produced for the masses and the oil reused day after day for everything. Suzanne used only a specific deep fryer for just the Oreos so the deep-fried delights wouldn’t pick up the fishy flavor from the fish and potato-ey smell of the chips. These efforts may seem simple but makes a huge difference in keeping flavors separate from each other. Looks like tadpoles don’t they? Yum! The water is actually frying oil! We waited until the very last minute to book NYE dinner and that was a BAD idea. You would think we would know better but after having eating so much throughout the entire trip, we could barely think about more food nearing the end of our trip. Luckily we made a few calls and managed to find an open table at Le Charm, a quaint French bistro a few blocks from Market St. Although this was a semi-random find, it did not disappoint. 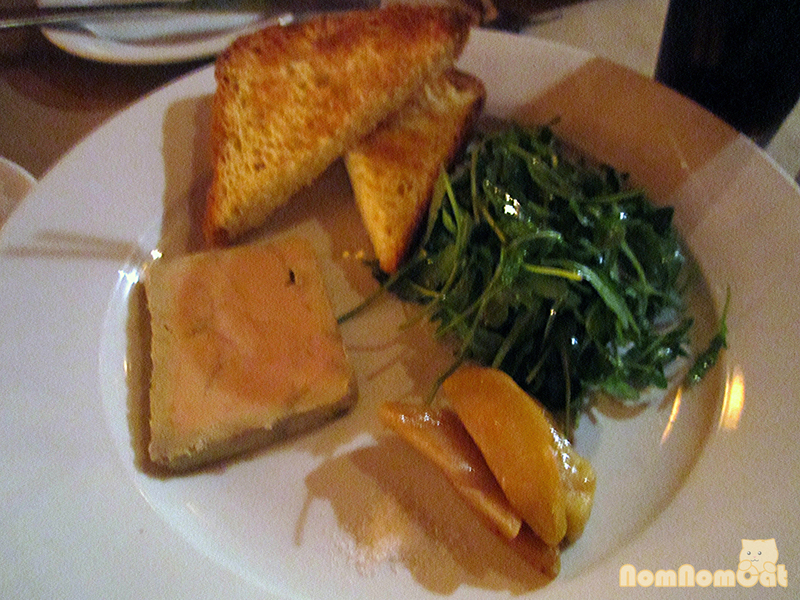 As expected, Le Charm was PACKED but we finally got seated at 9:45 pm, a little more than an hour before their closing. Trust me the little suckers are hiding in there! 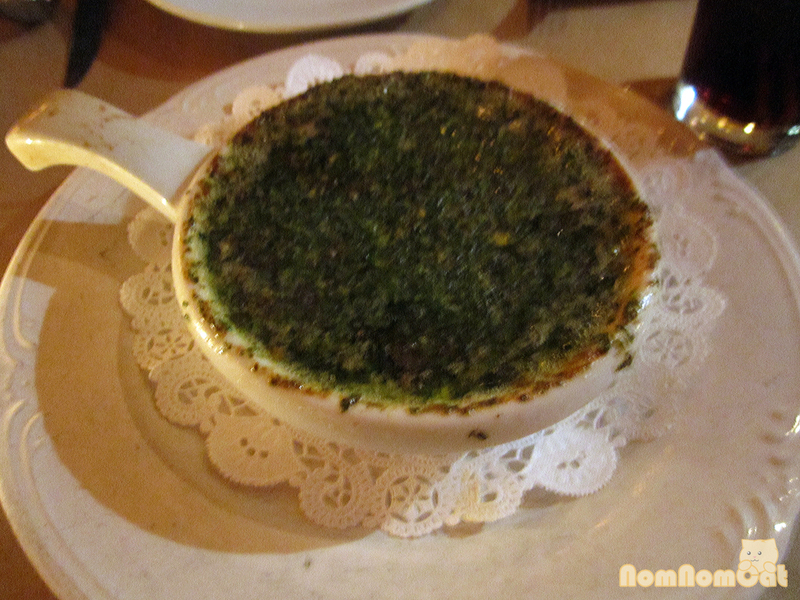 Continuing on with the escargot in a parsley garlic butter in an escargot dish. It was delicious but so buttery. The escargot itself were soft with a slight crunch to them. Duck Confit Traditional Cassoulet: White Beans, duck confit, lamb, garlic sausage, and Toulouse sausage and bacon. 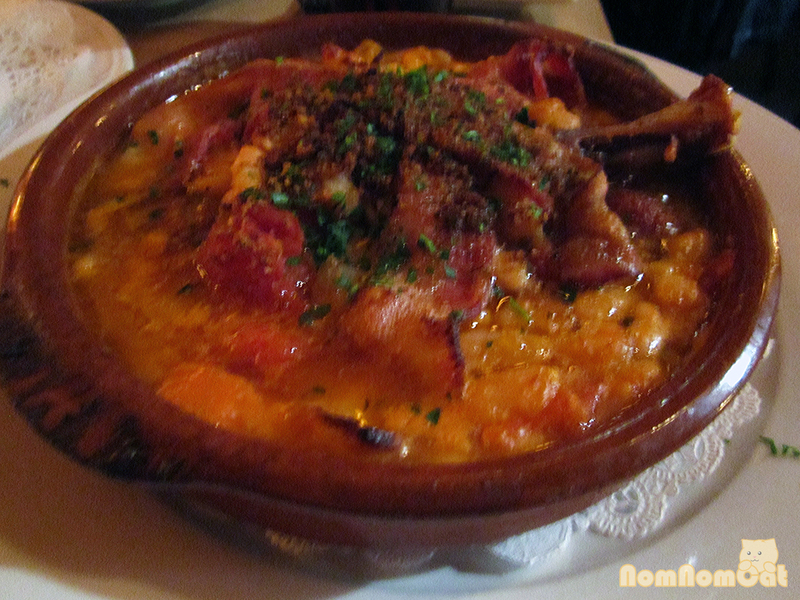 We shared the duck confit traditional cassoulet which was very hearty and filling. Ultimately we didn’t end up finishing this dish because there was so many white beans in it. All the parts comprising of this dish, white beans, duck confit, lamb, garlic sausage, and Toulouse sausage and bacon all added different flavors. The sausages, however, were too salty. I just went here not too long ago and I loved it! Although I am a bit jealous that we didn’t get any free deep fried oreos.